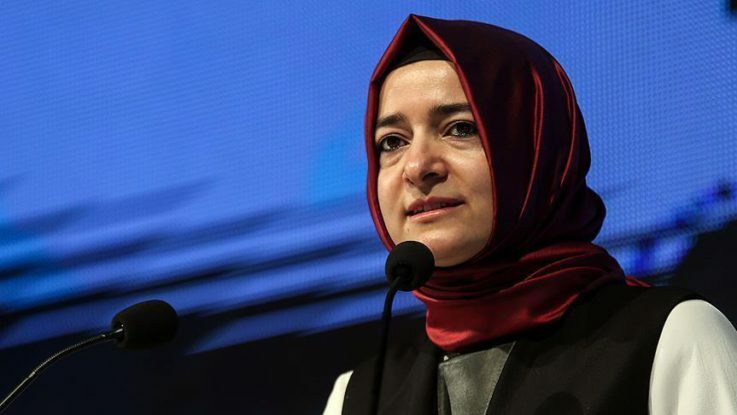 Turkish Family Minister Fatma Betul Sayan Kaya told a UN session Wednesday she recently endured “inhumane treatment” from the Netherlands government, in contravention of diplomatic protocols. “The Netherlands violated several European and UN conventions by restricting the freedom of speech and movement of a woman minister who has diplomatic immunity,” Kaya told the session on the status of women. Kaya was barred Saturday from meeting the Turkish community in Rotterdam, and was barred entry to the Turkish mission building, considered a part of the Republic of Turkey in line with diplomatic conventions. She said special operations officers who surrounded her vehicle were authorized to use deadly force and Turkish citizens waiting to welcome her were attacked by police dogs and horses. “On behalf of my country and all women, I strongly condemn this biased, racist and xenophobic treatment,” she said, adding that the world should not “remain silent” to the Dutch government’s actions. Tensions remain high between Ankara and Amsterdam after the incident. Turkey has suspended high-level ties and announced the Dutch envoy would not be allowed to return from a current leave. Kaya also condemned a decision by the EU Court of Justice that bans headscarves in workplaces. “This decision clearly plays into the hands of extremists,” she said. The ban would make it more difficult for Muslim women to be active in social and business circles if they are compelled to choose between their faith and their careers, she added.